Many people take an immense amount of pride in their homes, and rightfully so. Your house is a reflection of who you are and the values you hold dear. However, not everyone pays as much care and attention to the state of their lawn even though this is an extension of their home. The state of one’s lawn and the way they keep their yard largely influences the curb appeal of your home. Not to mention it’s far more pleasant to look out onto and spend time in a wonderfully landscaped yard. There’s no better time to jump into lawn-care mode then now. The weather is temperate, the season is appropriate, and you’re probably sick of being stuck inside all winter. Here are a few tips on how to jump-start your spring landscaping. Depending on the condition of your lawn this could be a big or small project. Once the ground is dry do a light raking, cut away any raised areas and fill sunken ones, and use an aerator to loosen any compacted areas. These steps will make your lawn healthier and more prone to growth in the spring and summer. Reseed the parts of your lawn that are bare or brown. However, make sure your soil is in good condition to be planted and use the proper seeds for your soil environment. Once the seed is planted remember to regularly maintain with water and fertilizer. After you’ve allowed the seed to settle and the grass to establish, it’s time to encourage growth and eliminate weeds. A combination of fertilizers and herbicides should do the trick, but make sure to apply with care. Read directions carefully as these chemicals usually come with specific application instructions. Mowing your lawn does more than just keep the length at a comfortable level, it also keeps the grass healthy. Mowing height and frequency are important to the health of your grass so pay special attention to the kind of grass your have and how often you cut it. Of all services you can pay for, professional lawn mowing is quite affordable – only $35 per mow in the Chicago area according to LawnStarter. A beautiful lawn adds to a beautiful home. And what better way to spend spring and summer than in a yard that is manicured and maintained? 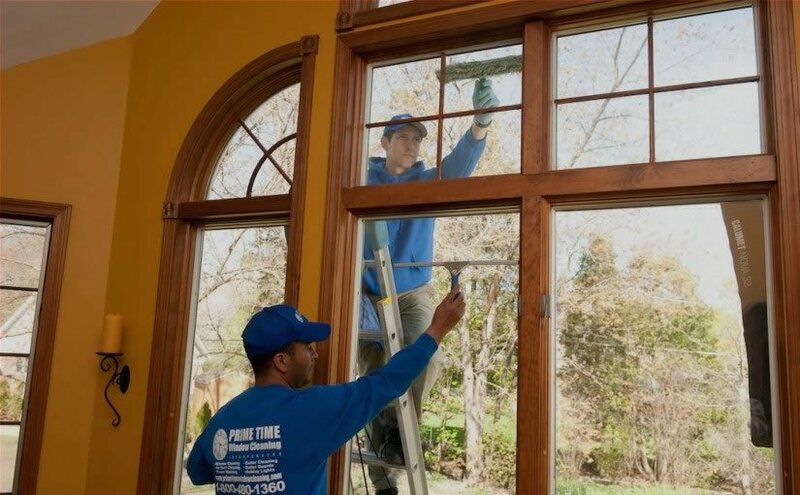 And if your home needs a little maintenance call the professionals at Prime Time Window Cleaning. 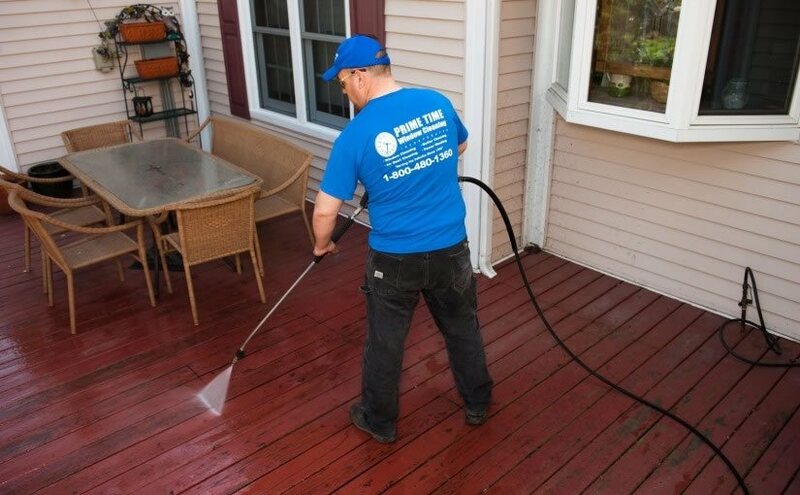 We provide window washing in Chicago, pressure washing, and gutter cleaning services. Get the whole house and lawn package looking great with a service from Prime Time Window Cleaning. Call us today to schedule!